Why Are Pitchers' Mounds Standard, But Baseball Ballparks Different Sizes? John B. asks: Why are things like the distance and height of a pitchers mound always uniform, but outfield dimensions are allowed to be whatever the stadium designers want? From Boston’s Green Monster, to San Francisco’s McCovey Cove and Houston’s absurd Tal’s Hill, Major League Ballparks can vary greatly in design and depth. Yet despite all of their differences, the distance between the pitcher’s mound and home plate is always the same. Here’s why. Essentially, the distance between the mound and home plate is intended to strike a balance between hitters and pitchers, in order to keep the game exciting. In the earliest days of professional baseball, to prevent pitchers from having a running start (like in cricket), they drew a box from which they had to throw – and the front edge of the box was 45 feet from the plate. In 1893, they traded the box for a pitcher’s plate and five feet were added to the distance. Apparently this really helped batters as the league batting average improved by 35 points that year. The mound was introduced also in 1893, and by 1904 it was limited to 15 inches above the level of the baseline. As pitchers had become dominant again, in 1968 the mound was lowered to no more than 10 inches above the baseline. Anyone who’s ever watched their favorite player stumble over that stupid hill in Minute Maid Park’s center field knows that, as opposed to the infield, there is almost no standardization when it comes to the outfield, or ballpark design, though new stadium designs do have to be approved by the commissioner’s office. Based in history, the heterogeneity in baseball’s parks’ designs is a function of necessity (Houston notwithstanding). Historically, baseball fields didn’t even have fences, so the fields were just naturally of varying sizes. Since many existing parks, such as Boston’s Fenway, were adjacent to other buildings and well-established roads, when fences were erected, they were placed by necessity, not according to a standard rule. This led, in Boston’s case, to a 37-foot high left field wall at 310 feet, deep center at 420 feet and a close right field at 302 feet (according to one report, the Red Sox put a bullpen in right field to give an even greater advantage to Ted Williams, who was left-handed and a pull hitter). Today the practice of allowing varying sizes is still around partially because that’s always the way it’s been; if they set a standard now it would require sometimes significant modifications to existing stadiums and surrounding areas (Fenway still having more or less the same issue as when it was built, for instance). Further, even modern stadiums have to accommodate unique conditions, such as the low air pressure of Coors Field (which lets the ball travel farther). In Denver, the Rockies intentionally placed their fences further back at 347 feet in left, 415 feet in center and 350 in right, which, according to at least one report, are the equivalents of 315 feet, 377 feet and 318 feet at sea level (on average fly balls travel about 9% farther at one mile up than at sea level). Today’s ballparks also have unique and seemingly arbitrary features intentionally added with the idea that familiarity with the idiosyncrasies of a park, and acquiring players most suitable for the park, give a home field advantage. By tinkering with things like field distance and wall height, home players become masters of a park’s quirks while visiting players may, at least at first, be confounded. Whether that really gives any sort of tangible advantage or not, few in the game, or fans of it, are calling for there to be any sort of standardization on outfield dimension, so don’t hold your breath of it happening any time soon, if ever. According to Tristan H. Cockcroft of ESPN, among the most “hitter-friendly” ballparks are Coors Field (from the high altitude), Rangers Ballpark (from a combination of high temps, low humidity and short fences), the Diamondbacks’ Chase Field, the Reds’ Great American Ballpark, the Phillies’ Citizens Bank Park, Wrigley Field and the White Sox’ U.S. Cellular Field (they moved in the left field by 17 feet and the right field by 12 feet in 2000). Among the worst ballparks for hitters are the Padres’ Petco Park (Cockcroft wonders if its architects were inspired by the Grand Canyon), Busch Stadium (dubbed “an extreme pitcher’s park”), the Mariners’ Safeco Field (considered the best venue particularly for left handed pitchers in the AL) and the Athletics’ Oakland-Alameda County Coliseum (from expansive foul territories). 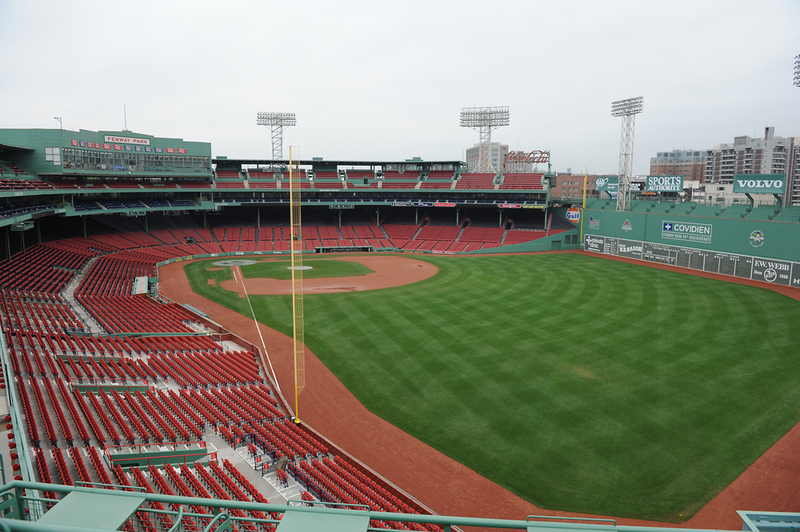 With the Green Monster at 37 feet and a portion of its right-field fence at 3 feet, Fenway boasts both the shortest and tallest outfield fences in the major leagues. Since 1990, 22 new stadiums have been constructed. Among the most expensive were the new Yankee Stadium ($1.6 B), Mets’ Citi Field ($632 M), Nationals Park ($611 M), the Twins’ Target Field ($522 M) and Marlins Park ($515 M). Compare these with the least expensive (to build) existing parks, which include Wrigley Field which was built in 1914 for $250,000 (about $6 million today), Fenway which was constructed in 1912 for $650,000 (about $15.5 million today) and Dodger Stadium, built in 1962 for $23,000,000 (about $174 million today). Why are major league baseball fields not standard in size?